TFY Ltd. (TransportForYou) is providing services in the area of transport and logistics. Experienced team of traffic managers and drivers with vehicle fleet with 30 articulated vehicles and 3 vehicles of payload 10 tons to help us with providing of quality services to our customers. If you are looking for a business partner for transport of your load and you are expecting a quality progress of transport, we are the right solution. 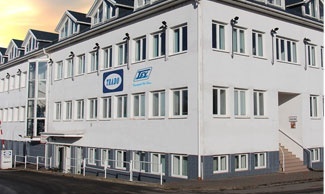 The company TFY Ltd. was founded in 1998 as a succesor organization of ČSAD Třebíč and followed by Trado Ltd. History of international road transport started 1st January in 1968 in the national company ČSAD. After privatization we started in creasing of the quality and the level of our services, connected with modernization of the vehicle fleet. From the beginning of its existence to deal exclusively with the services in the area of international and domestic road transport and logistics. Experienced team of dispatchers and drivers meets requirements of the customers in providing transportation of various goods. Flexibility, speed, NON-STOP working hours and efforts to adapt to your needs and wishes making us commited to continuous in improving of our services. We are specialized in the transport of coils in the hollow trailers and transport of dangerous goods belonging to the ADR system. All vehicles of our fleet are equipped by telematic monitoring and each customer has got the opportunity,after saying a unique code, to look through the web interface at the current location of your goods. We opened a new branch office in Prague in 2012 which ensures by the help of ours contract carriers unit shipments, groupage and forwarding for contractors because of the growth in the volume of shipments and requirement so four customers. At the same time, we are able to take any extraction of your vehicles for a pre-agreed price per driven km. Thanks to the good cooperation with a broker age company can arrange insurance of goods in transit and provide any consulting activity related to insurance and responsibility of the carrier. All shipments transported by our vehicles are insured for the amount of 11.000.000,- CZK, cabot age transport in Germany for the amount 600.000,- EUR according to §7a GüKG. Drivers are regularly trained and examined in the are as of transport and technica lregulations for motor vehicles. They are also familiarized with the technology of loading and unloading of the carried goods including its support and in trade documentation related to the transited consignment. To the security of services in the area of transport car load freight we operate with 30 trucks. The vehicle fleet consists of vehicles Scania, Volvo and trailers Schmitz. The average age of vehicles used in the marketing of service achieves 3 years. All older vehicles have been replaced with the new ones that meet Euro 5 emissions standards and with regular with regular carried maintenance we can guarantee to our customers technical reliability with respect to the carriage of the most delicate approach to the environment. To satisfy the in creasing demands of our customers, we opened a new branch in Prague in May 2012. Our employees are using maximum of their experience and knowledge to find the most effective way of the logistics solution for our customers. An individual approach to each client. We try to minimize the costs of our customers and achieve their business competitiveness. Our aim is to be capable, flexible helper and adviser in matters of domestic and international transport. We provide the transport not only in the Czech Republic but also through out Europe. We are able to transport the goods from 1kg to 24 tons, according to the client. In the case of time pressure, we also ensure express transportation. For the purposes of standard and express shipments, we use our vehicles and our wide network of vehicle contract carriers. If possible, were spondimmediately to your questions or demands, while more difficult task within 24 hours of the submission of the query.